It may seem strange to suggest that the author of The Secret Garden (1911) is a neglected figure. 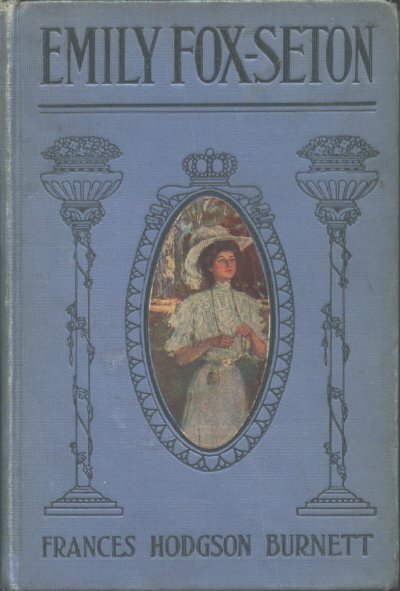 Even in her own time, Frances Hodgson Burnett was best known for her children’s books: Little Lord Fauntleroy (1886), though it has not survived its era, was beloved for decades on both sides of the Atlantic, and A Little Princess (1905) remains nearly as popular today as The Secret Garden. But Burnett did not consider herself solely a children’s author. During her long career, she published over twenty novels, the majority of them for adults. In writing as in life, she harbored a passion for make-believe and a pugnacious independence, which combined to produce a unique authorial voice. Burnett used fairy-tale tropes not only to tell gripping stories but also to criticize her society, and the most fascinating examples of this unusual technique occur in her adult fiction. She was born in 1849 in Manchester, England, the third of five children. When she was five her father died, and her mother, despite valiant efforts, could not maintain his wholesale ironmongery business on her own. Over the next eleven years the business dwindled to nothing, and the Hodgsons, once a prosperous family, moved into successively smaller houses. When the American Civil War destroyed Manchester’s cotton economy, the last of the Hodgsons’ resources went with it. Rescue came in the form of Frances’s uncle, who ran a dry-goods store in Knoxville, Tennessee. He offered a temporary home to his sister and her children, and the family emigrated in 1865. The Hodgsons’ early Tennessee years were difficult—Frances’s mother found a small house outside Knoxville, but they had almost no money and frequently went hungry. Nevertheless, by foraging and making do, the family kept afloat. Burnett’s account of these years in her memoir, The One I Knew the Best of All (1893), is surprisingly cheerful. She portrays herself as a sturdy adolescent who faced poverty with grit and optimism, and while the portrait is undoubtedly romanticized, one can easily believe that she never felt overwhelmed by the family’s hardships. In 1868, when she was seventeen, she sent two of her innumerable stories to a women’s magazine, Godey’s Lady’s Book. The Hodgsons were still so poor that in order to pay for the paper and postage Frances gathered and sold wild grapes. But her determination paid off: the magazine accepted her stories, and from then on she churned out an unceasing stream of fiction, much of it sentimental and clichéd, all of it produced with the sole aim of supporting her family. Within a year she had earned enough money to move them to a house in Knoxville, giving her mother a final year of comfort before her death in 1870. In 1873, when Frances was twenty-two, she married Swan Moses Burnett, a Knoxville ophthalmologist. By this time Frances had embraced her identity as a professional writer, and her marriage did not halt her career. Indeed, the marriage failed as a functional partnership after only a few years. By 1876 they had two sons, Lionel and Vivian, both of whom Frances loved to adoration, but in spite of them she spent much of the next three decades traveling on her own, often crossing the Atlantic, and reveling in her growing literary fame. This fame began with the publication of her first novel, That Lass o’ Lowrie’s (1877), a story about a Lancashire mining town complete with dialect and local color. The book marked her literary return to England and brought recognition from the era’s top authors: Henry James was among the many friends Burnett made in England in the ensuing years. Celebrity status arrived with her play Esmerelda (1881), which became the longest-running Broadway play of the nineteenth century, and crystallized with the smash hit Little Lord Fauntleroy (1886). This novel’s young American hero was inspired by her son Vivian, and his golden curls and velvet suits started a fashion resented by little boys for years to come. As with many of Burnett’s novels, Little Lord Fauntleroy was soon adapted for the stage, bringing her an additional fortune. In England, the man who adapted it didn’t bother to obtain her permission, and Burnett, never one to give up profits rightfully hers, took him to court. The case resulted in a permanent change to British copyright laws. The most catastrophic event in Burnett’s life was the death of her older son, Lionel, in 1890: he died of tuberculosis in Paris, when he was sixteen years old, and Burnett barely survived his loss. Fourteen-year-old Vivian was far away in America, and Burnett, deep in depression, did not return to him. Her only avenues of solace were her growing faith in Christian Science and her beloved make-believe. At last, after two years, she emerged from the worst of her grief, returned to America, and took up her pen once more. By this time her marriage was extinct in all but name, and in 1898 she and Swan finally divorced. Aside from an ill-advised and short-lived marriage to a British doctor named Stephen Townesend, Burnett spent the remainder of her life as a single woman. She became an American citizen in 1905—despite having lived in England, in a manorhouse called Great Maytham Hall, for much of the previous decade—and moved back to America permanently in 1907. In her last years she lived in a grand house on Long Island and in Bermuda, enjoying her hard-earned riches until her death in 1924. 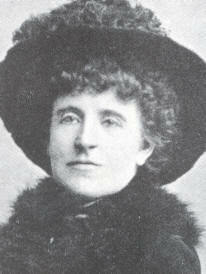 Burnett wrote her two best adult novels, The Shuttle and The Making of a Marchioness, in the winter of 1901. As often happened, she was using fiction as an escape, this time from the disaster of her marriage to Townesend. The Making of a Marchioness is a novella, expanded with an equally brief sequel released the same year (they were thereafter published as a single volume, using the heroine’s name as the title). Emily Fox-Seaton is an impoverished gentlewoman, living off crumbs in London. Burnett, well acquainted with the makeshifts of poverty, portrayed this lifestyle with an accuracy that brings weight to the story. Invited to the estate of a wealthy acquaintance to be essentially an unpaid secretary, Emily charms the richest nobleman of all, grouchy Lord Walderhurst, who alone among the foppish aristocrats in the novel understands Emily’s sterling qualities. The book critiques the mindless privilege of Britain’s upper classes, but more important is its romantic fantasy; the plot strains credulity, yet because Burnett describes Emily’s struggles in matter-of-fact detail, lacing the story with every-day objects and frequent reminders of Emily’s plump ordinariness, the story feels reassuringly unsentimental. It is unfortunate that in the sequel, The Methods of Lady Walderhurst, Burnett felt the need to inject exoticism into the narrative: Alec Osborne, Walderhurst’s ne’er-do-well son, returns with his wife from India to fight for his inheritance; he is one of Burnett’s better villains—his greed soon tips into near-insane desperation—but her stereotypical portrayal of the Osbornes’ nefarious Indian maid grates on modern sensibilities and pushes the book over the edge of clichéd romance, a boundary that Burnett had deftly skirted in the first novella. The Shuttle, a longer and more complicated novel, was not published until 1907. In it Burnett once again employs the conventions of fairy-tales, but she does so in a strikingly unorthodox way. The book begins with a marriage: Rosalie Vanderpoel, an American heiress, weds Sir Nigel Anstruthers, a British nobleman in dire need of cash. This union is an example of the marital “shuttle” weaving America and Britain together. Burnett’s clumsy metaphor opens the novel, but fortunately she soon moves on to her protagonist—Rosalie’s sister, Bettina, a tenacious young woman who is a worthy addition to Burnett’s list of stalwart heroines. Alone among the Vanderpoels, Bettina acknowledges that they have sold Rosalie to a brute for the sake of a title; and she alone, after a decade of silence from Rosalie, has the gumption to sail to England on a rescue mission. Bettina’s strengths continually develop: she is masterful but not bossy, fierce with her enemies but gentle with her friends, willing to get her hands dirty while upholding her pride among the nobility. And in spite of all these virtues, she remains likable rather than priggish. By a convenient coincidence—Burnett never hesitated to use coincidences—Sir Nigel leaves his estate, Stornham Court, shortly before Bettina arrives, and so she initially encounters only Rosalie and her son, the astonishingly named Ughtred, whose limp is one sign among many of Sir Nigel’s physical abuse. Burnett’s willingness to depict the aftermath of such abuse—Rosalie is a hysterical wreck, unable to believe that Bettina has come at all, let alone come to help—adds a seriousness to the novel that lifts it out of simplistic romance. Sir Nigel is overdrawn, perhaps, but he is exaggerated to make a point: Burnett, far from veiling the horror of domestic abuse, dragged it determinedly into the light. Ultimately, however, she was not in the business of exposés—her main focus is on Bettina’s achievements, not Sir Nigel’s crimes. Thus, for most of the book, he stays off-stage, giving Bettina free rein at Stornham Court. Almost at once Bettina decides to rescue the estate as well as her sister. She makes friends with the gardeners, visits the tenants, and orders a thorough spring cleaning of the house and grounds alike. Transplanted herself from one environment to another, Burnett understood the importance of place, and Stornham receives its full due as a player in the story. Slowly and triumphantly, the estate comes to life under Bettina’s hand, and Rosalie and Ughtred creep out of their cave. Burnett did not avoid all the traps of the romantic tradition: inevitably, Bettina falls for a neighboring aristocrat, Lord Mount Dunstan, who possesses all the good will and integrity that Sir Nigel lacks. Burnett’s descriptions of the generic Mount Dunstan are even more tedious in light of her delightful portrayal of Bettina; his strength and competence undercut Bettina’s self-sufficiency. But this misstep does not ruin the book altogether: when Sir Nigel finally returns, his flummoxed outrage at Bettina’s mastery of Stornham is just as satisfying as the reader could hope, and the final battle of wills—if not the accompanying battle of brawn—takes place between Bettina and Sir Nigel with no outside interference. As with Burnett’s other novels, The Shuttle is a fairy-tale—but the realism of the story is more vivid than its romantic ending; afterward the reader is likely to remember not its sentimental flaws but the dashing determination of its heroine. Below is the novel’s first description of Bettina Vanderpoel, who enters the story after the introduction of the weak-minded Rosalie. Her sister Bettina, who was still a child, was of a stronger and less susceptible nature. Betty—at eight—had long legs and a square but delicate small face. Her well-opened steel-blue eyes were noticeable for rather extravagant ink-black lashes and a straight young stare which seemed to accuse if not to condemn. She was being educated at a ruinously expensive school with a number of other inordinately rich little girls, who were all too wonderfully dressed and too lavishly supplied with pocket money. The school considered itself especially refined and select, but was in fact interestingly vulgar. The inordinately rich little girls, who had most of them pretty and spiritual or pretty and piquant faces, ate a great many bon bons and chattered a great deal in high unmodulated voices about the parties their sisters and other relatives went to and the dresses they wore. Some of them were nice little souls, who in the future would emerge from their chrysalis state enchanting women, but they used colloquialisms freely, and had an ingenuous habit of referring to the prices of things. Bettina Vanderpoel, who was the richest and cleverest and most promisingly handsome among them, was colloquial to slanginess, but she had a deep, mellow, child voice and an amazing carriage. Sir Nigel had known only English children, little girls who lived in that discreet corner of their parents’ town or country houses known as “the schoolroom,” apparently emerging only for daily walks with governesses; girls with long hair and boys in little high hats and with faces which seemed curiously made to match them. Both boys and girls were decently kept out of the way and not in the least dwelt on except when brought out for inspection during the holidays and taken to the pantomime. Sir Nigel had not realised that an American child was an absolute factor to be counted with, and a “youngster” who entered the drawing-room when she chose and joined fearlessly in adult conversation was an element he considered annoying. It was quite true that Bettina talked too much and too readily at times, but it had not been explained to her that the opinions of eight years are not always of absorbing interest to the mature. It was also true that Sir Nigel was a great fool for interfering with what was clearly no affair of his in such a manner as would have made him an enemy even had not the child’s instinct arrayed her against him at the outset. It was rather impudent of her, but it must be confessed that she was not infrequently rather impudent in a rude little-girl way, but she was serenely unconscious of the fact. Sir Nigel flushed darkly and laughed a short, unpleasant laugh. If she had been his sister Emily she would have fared ill at the moment, for his villainous temper would have got the better of him. “I ‘guess’ that I may be congratulated too,” he sneered. As always, Burnett’s prose is hurried, eager, even sloppy at times. But it hurtles forward with the same excitement that possesses young Betty, whose spat with Sir Nigel foreshadows the overarching conflict of the book. The pleasure of watching Bettina’s preparations for their eventual battle never falters: one could not ask for a more resourceful heroine, nor for a more engrossing tale of villainy avenged. Learn more about Frances Hodgson Burnett’s novels on Amazon and Goodreads.